DALLAS, TX: Cupcake Polish announces a new duo for their August 2017 feature in the Crystal's Charity Lacquers facebook group. 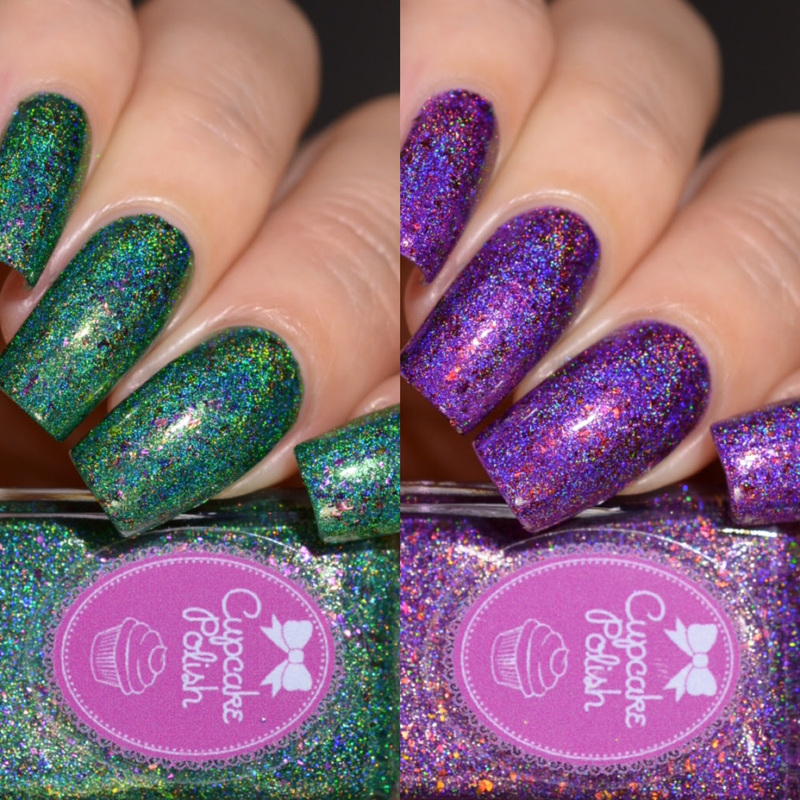 Cupcake Polish has teamed up with Top Shelf Lacquer to help raise funds for the SPCA! These gorgeous Cupcake Polishes are perfect for the upcoming fall season and will make you think of bonfires and sweater weather! Make Today Pawsome is a gorgeous emerald green linear holographic polish with pink/copper/green/gold shifting metallic flakies. Paws And Share The Love is a gorgeous mulberry purple linear holographic polish with copper/red/gold shifting metallic flakies. These are available individually at www.cupcakepolish.com for $13 each with $4 of each sale benefitting the SPCA. These are ONLY available from August 11th at 12pm CST to August 27th at 11:59pm CST.